These are the types of questions the rangers at the Colorado National Monument, located in the western part of the state near Grand Junction and Fruita, are happy to answer: Is it just me, or is that humongous boulder defying gravity? How were these tunnels carved out of the stone? What do you mean it’s a “canyon within a canyon”? The 32-square-mile spectacular geologic wonder of sandstone mesas and canyons is part of the United States National Park Service and daily ranger programs take place throughout the summer starting in June. Red-and purple-streaked striations in water-sculpted cliff walls, whimsically arranged rock formations, sky-high mesas and abundant wildlife can’t help but inspire those who visit to want to know more about how it came to be. The free programs offer visitors a chance to learn about the wildlife, vegetation, geology and history that make the monument unique. Events include desert bighorn sheep and cactus hikes, wildflower photography and birding workshops, stargazing meet-ups, presentations on the Civilian Conservation Corps (men who helped conserve this natural resource during the Great Depression), Junior Ranger programs for kids ages 5 to 12 and many others. Other activities at the monument can include camping among the pinyon pine in the Saddlehorn Campground, hiking Corkscrew Trail’s switchbacks, photographing the iconic Independence Monument, cycling the 23-mile Rim Rock Road, painting the sandstone panorama at Artists Point and spying golden eagles with your binoculars. Stop at the monument's Rim Rock Shop to view event and activity schedules. 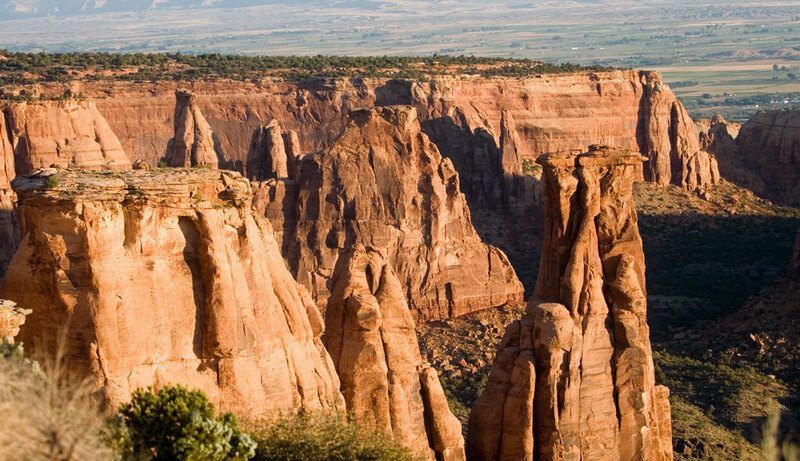 Read more about the Colorado National Monument.